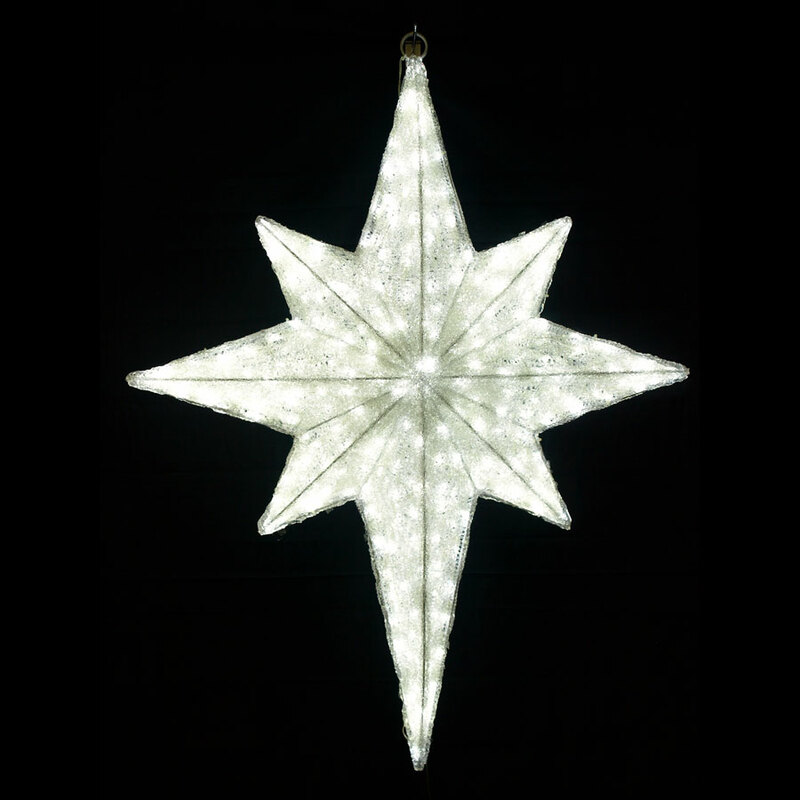 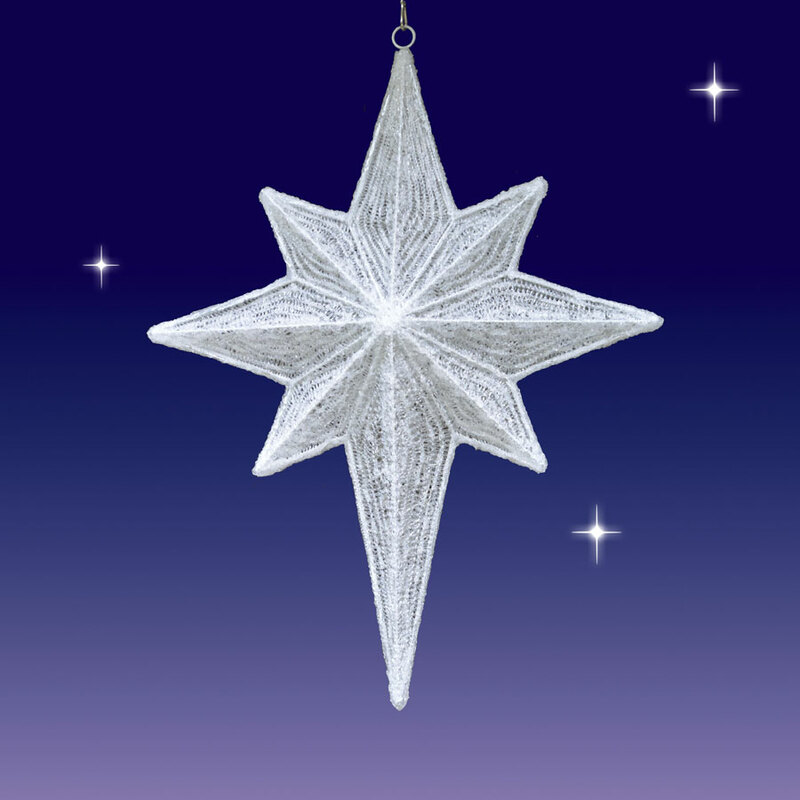 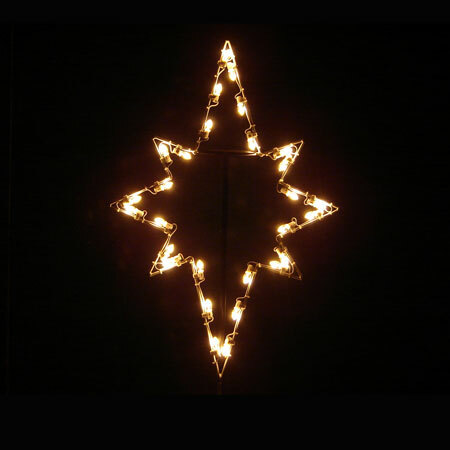 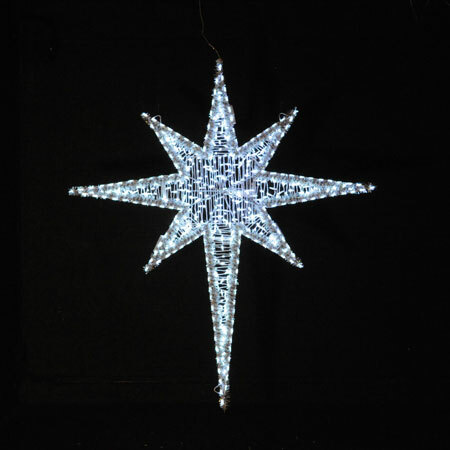 LED Nativity Star - 3D ­­- White ­­- Seasons Designs ­- 47"
Ideal for your large nativity scene, this charming 47-inch LED outdoor nativity star by Seasons Designs brings a bright finish to your exciting outdoor display. 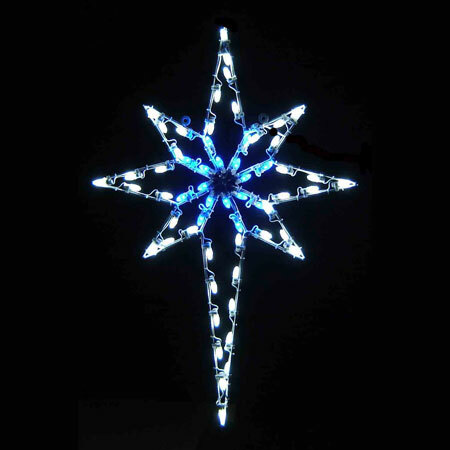 It features a two-sided, three-dimensional design to allow it to be seen from every angle. 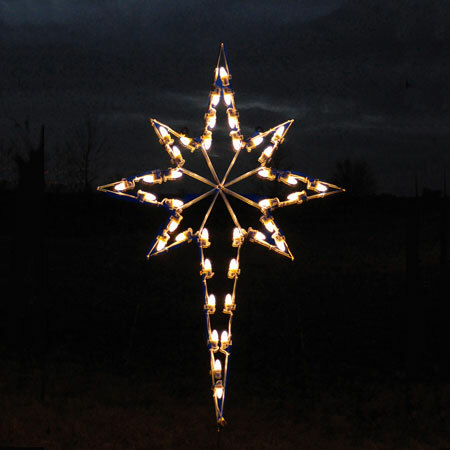 Each large outdoor Christmas star from Christmas Night Inc. features 420 efficient mini LED bulbs. 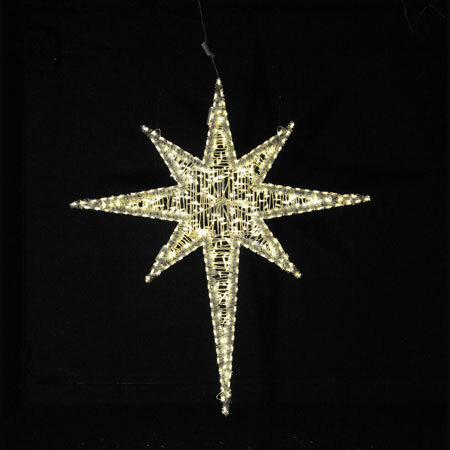 H 47" W 37" D 8"